"This isn't an ordinary documentary, it's an "Adventu-mentary." InsideEVs caught up with Jonathan Becker to discover what initially charged this idea. "While filming the Zero Emissions & Drive Electric Tours a few years ago; I had a conversation with a person whose dream was to travel across the country on her electric scooter to spread EV awareness and set a Guinness World Record. Her vision was to ride from her hometown of Charleston, SC and end her journey on Google's front lawn. As she began to speak of her plans, other conscious minded individuals stepped forward to take this EV journey with her." "Fast forward to early Summer 2013, they called me out of the blue. It was an incredible opportunity, after all they've had 3 years to plan and research this, right? The group now consisted of 8 strangers from various countries, prepared to ride a variety of electrically powered vehicles ranging from bikes to cars." "With one week notice, a 3 man film crew, no budget, no plan, and a list of 44 cities. I said "Oh man this will be quite the ride." 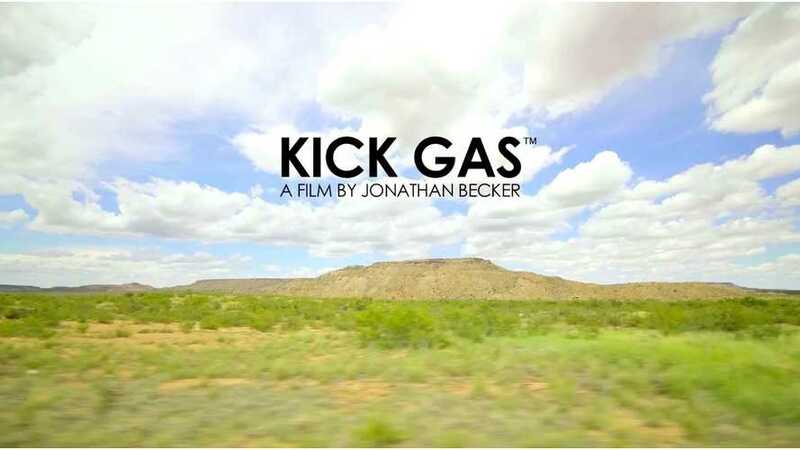 The KICK GAS™ Movie, will be released on Earth Day April 22, 2014 on AMAZON and www.kickgas.vhx.tv. Editor's Note: The KICK GAS™ Movie crew has teamed with InsideEVs to present a series of exclusive engaging posts in the lead up to the release of the full-blown movie Earth Day April 22, 2014. Look for us to be first to present personal stories from the "Adventu-mentary" in the days that follow.